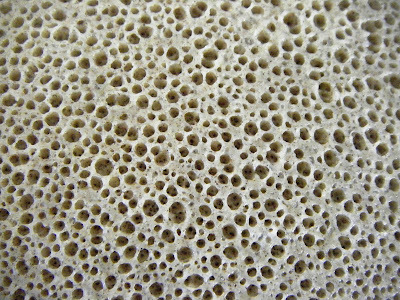 Injera, for those of you unfamiliar with the word, is the pancake-like bread beloved by Ethiopians, who use it as both plate, utensil and staff of life. 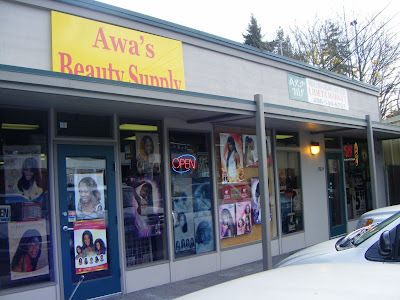 Or, as the owner/baker of Amy’s Merkato in the Central District told my friend and colleague Gary Davis in this delightful interview on KPLU radio, “You can’t live without this.” Amen! Little did I know that at Lideta (19824 Aurora Avenue N.), they’d be baking it right there on the premises! What’s more, while I was there, I watched as owner Legesse Kebede weighed out several pounds of beef for a customer. He explained that he brings the beef in fresh from Eastern Washington every Thursday. He hangs the side of steer in his walk-in refrigerator, slices and wraps the meat in his spotless commercial kitchen and sells it to his fellow Ethiopians — or anybody else willing to stop in before he sells out — usually by the weekend. Translation? Today, a steer is being slaughtered somewhere over the mountains. Tomorrow it will be en route to Shoreline. And if I stop by Lideta Thursday evening for fresh beef, it could soon be simmering with berbere-spice in one of my Dutch ovens to be wrapped in a section of freshly made injera. After looking around the shop, I was pleased to find they’re also selling East African spices; raw Ethiopian coffee beans; legumes and teff (the staple-grain of Ethiopia, ground and made into injera). 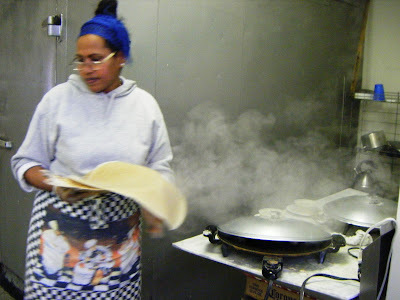 And I was interested to note they also sell the electric crepe-makers used to make injera at home — if I were so inclined. But why bother when they’re doing such a great job here, where I can pay $6 for enough to feed an army? 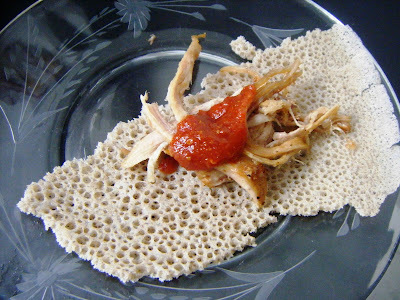 If you’re looking to get a real taste of Ethiopian food, the place to go is the Central District, where Ethiopian shops and restaurants (like Cafe Selam, reviewed here) are a dime a dozen. Me? I’m thrilled to have found Lideta in Shoreline, whose bread will make a perfect accompaniment to my family’s favorite Sri Lankan beef curry recipe, a fabulous side for swiping my over-easy eggs and another way in which I can continue to introduce my kid to the flavors of the world.